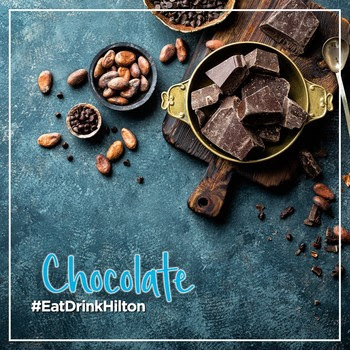 English comedian, actress, writer and foodie Jo Brand once said, “Anything is good if it’s made of chocolate.” There is a truth to her words and that is why this August, Hilton hotels in Malaysia are focusing on chocolate as their seasonal produce of the month. With every bite of chocolate, one would experience a different taste. From house warming gifts to Valentine’s Day treats, chocolates have and always will be an indulgence to all — young and old. 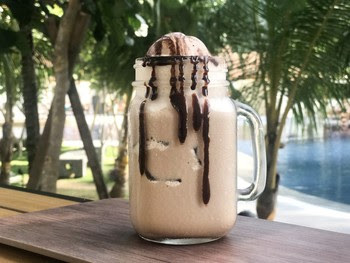 Originating from the seeds of Theobroma cacao and commonly consumed as a drink in the past, chocolate has now become one of the most popular flavors and foods in the world. As the world evolved, so did the uses of chocolates. While chocolate was once mainly consumed as a dessert, it has now made its way into everyday cooking. Today, chocolate is one of the most frequently featured ingredient in cuisines worldwide. From cakes and pancakes to savory dishes such as pasta, meats and sauces — it is possible to find chocolate in almost anything! With #EatDrinkHilton, Hilton’s first nationwide dining promotion, we are committed to delivering exceptional experiences to our guests through the use of home-grown ingredients from fruits to vegetables and milk to even local sugar such as the ever famous Gula Melaka, which complements the seasonal dish to make it feel more at home. Served at Hilton Kuala Lumpur is a chocolate soufflé that can be enjoyed at Graze. When dining at Chambers, be sure to try the brownies made with a mix of cocoa powder, hazelnuts and dark chocolate. 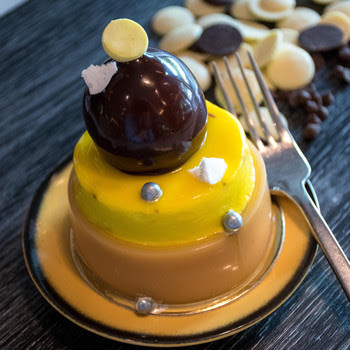 For those who are dining at Vasco’s, the all-day dining outlet, the chocolate mille feuille — a combination of chocolate crème and puff pastry — is not to be missed. Visit Hilton Petaling Jaya and savor every bite of the Giant Muffin with Chocolate, Opera Valharno Chocolate, or enjoy a BBQ Lamb with Spicy Chocolate. Feeling thirsty on a hot day? Pop on over to Café Cino and order the Creamy Coco. If you are having a long night out and would like to relax with something sweet and with a hint of liquor then head on over to Uncle Chili’s and try out the Chocolate Vodka. If time permits, take a trip down East Malaysia and head over to the neighboring state, Kuching. Dine at any one of the outlets at Hilton Kuching and have a taste of a variety of chocolate dishes such as Chocolate Nougat Pistachio Delight garnished with local orange and grapes which are juicier, crunchier and sweeter from the Cat City; Kuching. Have a Chocolate Truffle, and Chilled Australian Rib-Eye with Dark Chocolate infused with local Sarawak Black Pepper Sauce. The Sarawak black pepper is known to have a big, bold aroma, which is mellow in the mouth when combined with old spice flavors producing warm, woody notes. For a sweet liquid indulgence, try Hilton Kuching’s CocoMint Fusion or go for the ever-famous Ice Blended Chocolate or the old favorite, Hot Chocolate. Providing a warm welcome to guests is in our DNA at DoubleTree by Hilton — and it all starts with our signature DoubleTree Cookie. Presented to you upon check-in, this delicious chocolate chip cookie is baked fresh every day for our guests to enjoy as they start their stay at any of our DoubleTree by Hilton Hotels & Resort. Finally, when you reach the southern tip of Peninsula Malaysia, do plan a stay at DoubleTree by Hilton Johor Bahru. 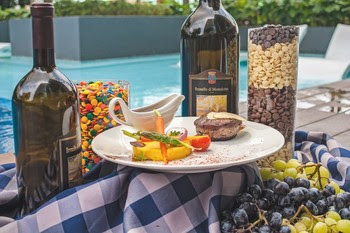 Meat lovers would enjoy the Angus Beef Tenderloin with Chocolate Red Wine Sauce at Tosca’s kitchen, an Italian Trattoria.